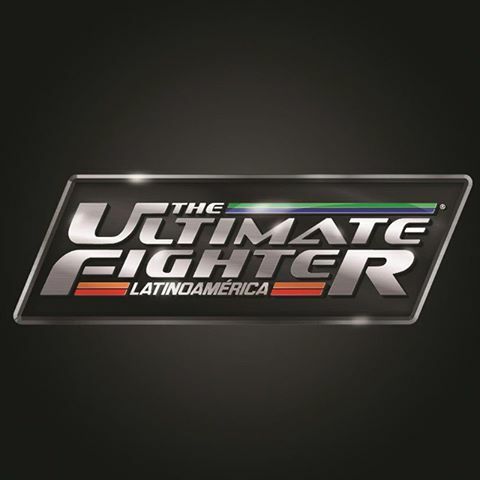 Las Vegas, NV –After reaching an average of 7 million viewers per episode in Mexico and millions more viewers around Latin America during season one, The Ultimate Fighter® Latin America is coming back for a second edition. The reality series premiered last August on Channel 5 in Mexico and was seen on UFC Network and free-to-air networks in Latin America. For 2015, UFC® has recruited talent from all over the region and divided them into two teams: Team Gastelum and Team Escudero. Both teams will represent a combination of Latin American countries and the series is set to begin filming on March 17th in Las Vegas – the fight capital of the world. Currently ranked as one of the best welterweights in the world, Kelvin Gastelum (11-1, fighting out of Yuma, AZ) is already one of the of the most successful UFC fighters of Mexican decent. The son of immigrants, Gastelum was a high school state champion wrestler in Arizona before turning pro in MMA. Entering The Ultimate Fighter season 17, the Mexican-American stormed to the finals where he scored one of the biggest upsets of 2013, defeating the fearsome Uriah Hall. Still only 23-years-old, he has since gone 4-1 in the UFC and has defeated top contenders like Rick Story and Jake Ellenberger. Coaching opposite Gastelum is another Ultimate Fighter champion, Efrain Escudero. Hailing from Sonora, Mexico “Hecho en Mexico” moved to Arizona, USA, in his youth where he wrestled at the high school and collegiate levels before dropping out to pursue a career in MMA. Turning pro at 20, the Brazilian Ju-Jitsu black belt looked sensational in winning the Ultimate Fighter Season 8 lightweight tournament, defeating Phillipe Nover in the finale. Now fighting out of Tempe, Arizona, Escudero (22-9) has a wealth of experience to pass on to his team this season. In this ninth international edition of the most challenging sports tournament on television, Gastelum will lead a team of four lightweight (155lbs) and four welterweight (170lbs) fighters against Escudero’s squad of eight similarly divided fighters from Latin American countries. The complete list of fighters will be unveiled in the coming weeks. The show which follows fighters training and competing against each other for a prized UFC contract, all while living under one roof, will air on Televisa Channel 5 in Mexico beginning in August 2015. UFC Network subscribers will also get the chance to catch replays and watch exclusive content on the channel as well as on ufcnetwork.com. The season finale will be featured during Mexico’s second live event later this year. The card will host the final lightweight and welterweight bouts of the series, crowning the winners of The Ultimate Fighter Latin America season 2. Further event and ticket details will be released later this summer ahead of the scheduled on-sale at the end of August. In addition to Kelvin Gastelum and Efrain Escudero, The Ultimate Fighter has launched the careers of more than 100 UFC fighters and produced champions such as Forrest Griffin, Rashad Evans, Matt Serra and current bantamweight champion TJ Dillashaw as well as season winners including Michael Bisping, Ryan Bader and Nate Diaz. Mexican American Tony Ferguson captured the season 13 lightweight title, while Diego Sanchez, also of Mexican descent, was the first-ever winner of the franchise. Sanchez defeated Kenny Florian, a fighter of Peruvian descent, at The Ultimate Fighter 1 Finale in 2005. In 2014, Mexican featherweight fighter, Yair Rodriguez, and bantamweight competitor, Alejando Perez, were crowned season winners of the first Spanish speaking series of The Ultimate Fighter Latin America. For more information or current fight news, visit www.ufc.com.